It's because the game evolved a whole lot and continually keeps evolving very fast. The developers constantly change systems, Warframes, mods, weapons, companions, basically everything. Nothing is off the table. But most importantly, generally they do these things in surprising and interesting ways. Best way to describe it, is to look at what Epic Games did and continues to do with Fortnite, they just don't stop adding new things, changing others, balancing, etc. Though in the case of Digital Extremes with Warframe, they go even more further than that. Another way to describe it is this is like "Warframe 4 or 5", not just a 2.0 remake like Final Fantasy 14: A Realm Reborn received. Warframe is like that as well, but imagine every 1-2 years it goes through that all over again, only that in Warframe's case, it happens in phases on a month-by-month basis. Which can be both a blessing and a curse, but regardless of whether they change a Warframe, weapon, systems or mode that you love, it greatly helps to keep things from becoming too stale. This year they did and are doing a lot of "Mainline" updates, basically cleaning bugs and most importantly, changing almost everything in the game. A lot of Warframes were reworked, all Primary and Secondary weapons were rebalanced - melee weapons will receive a rebalance in the next month(s), they're completely changing the UI and Menus, the controls outside of missions, etc. But all of this makes the game feel fresh and incentivizes people to constantly change tactics and what they use in situations were the "Meta" had dominated before. Warframe is constantly being robbed of awards in awards events like The Game Awards and BAFTAs, it almost always goes to Overwatch - and in some cases, Destiny - just because that's the game(s) most Gaming press people play. Not to mention coverage in Gaming press sites' articles. Which is why Warframe is not as popular and well known. Last year was the best year of Warframe ever and the worst year of Overwatch - taking into account what the Overwatch community said in many threads, regardless, Warframe was robbed yet again. Even in the Overwatch community, almost everyone felt Overwatch didn't deserve these awards. Most said Warframe should have won them, with a minority saying other games like Tom Clancy's Rainbow Six: Siege, Fortnite, PlayerUnknown's Battlegrounds should have won them instead. All of this relates to your comment on why so many people are so passionate about Warframe, something which blows people's minds since they barely know the game. I hope this helps explain why, like you've said: "the fandom for this weird evolved game" blows not only yours, but most people's minds. 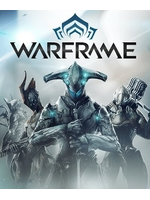 It's a real shame that most people who played Warframe even as recently as 2 years ago - or even far back than that - and gave up on it, most likely will never return to it, since the game is very different now. Warframe certainly has received more additions and changes in these past 2 years than 99% of games receive in their sequels 2-5 years later. Best of all, it's all: "Free". This is quite a bold statement from a guy who admits to only playing Warframe in terms of service/online games. What? This is nonsense. Overwatch and Siege both deserve accolades in that "ongoing games" category. Overwatch has grown tremendously since its launch and has shown no sign of stopping. Fortnite is still early access. PUBG wasn't nominated as it just went 1.0 in December. They're both too new. It deserved the eSport award too. I think Siege is a better competitive game, but it was robbed of a nomination, and the commitment Blizzard is making to eSports is frankly unrivaled. That Warframe even gets mentioned at events like that is a huge amount of recognition for a five year old free to play game. And it's not the only free to play game to experience insane growth in the last five years. 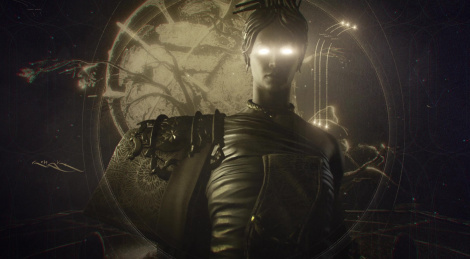 You won't see Path of Exile on stage at a major video game event anytime soon, despite seeing just as much development and even more player growth in the same period. Warframe is amazing but boy oh boy is it a grind, especially if you saw that plains of eidolon expansion and thought you would be just jumping into it. I spent about 10-15 hours and I only made it to the 3rd planet or star of about 10. Normally a great game that has you playing longer is great but the progression is also a grind I had the same 2 warframes and weapons for my 10-15 hours of play. Granted I could have been playing wrong but that brings up another issue with the game.